It’s been over seven years since I studied abroad in Rongai, Kenya, and I’m still talking about it. My time in Kenya broadened my perspectives and gave me the passion to explore more of the world. Studying abroad can be a daunting adventure on which to embark, but at the end of your student’s journey, they’ll emerge a new person. According to the Institute of International Education’s Open Doors study, in 2016, there were 325,339 US students who studied abroad, while 1,078,822 international students studied in the United States. Whether your student has already been bitten by a travel bug or is still on the fence about studying abroad, consider these reasons and carpe diem! Studying abroad not only diversifies your child’s cultural understandings, but also presents them the opportunity to practice that second language they always wanted to try, or experience that authentically prepared dish they’ve been dreaming of. There’s really no better way to practice than to be fully immersed in the environment, and no more perfect way to taste a culture than through their food. Connecting with locals and travelers alike also means your child might just find their new best friend. From prowling the tombs of Egypt where the first record of classical cryptography was found, to touring Silicon Valley tech companies where the latest encryption softwares are being developed, your student can witness the progression of advancements throughout history. Studying at a foreign university means your child doesn’t need to go far to find hidden gems. Did you know the Hogwarts-like Guild Building of Imperial College London dates back to 1845? No matter where your student goes in the world, there’s so much history to learn. 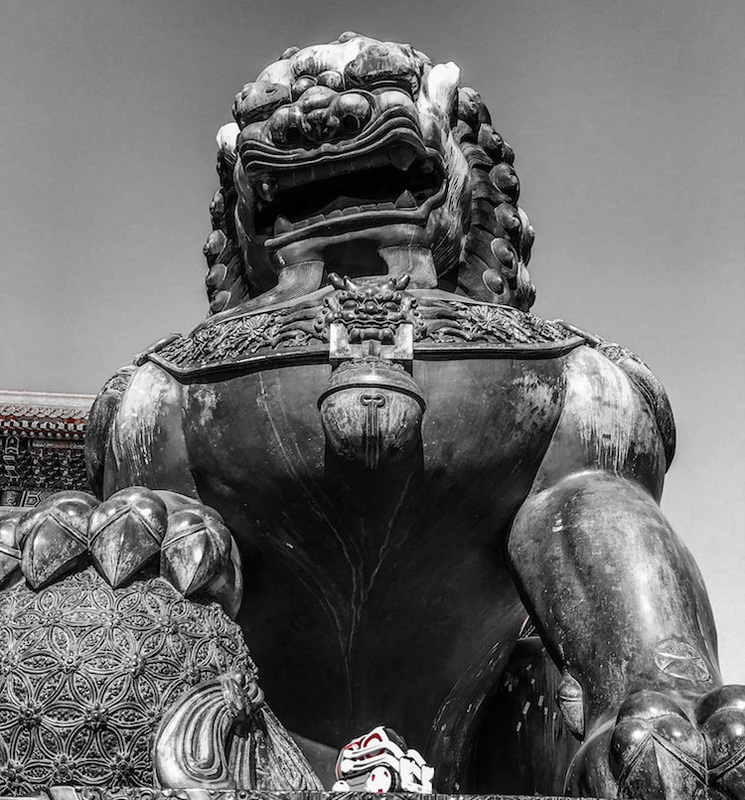 See if you can spot my travel robot companion, Cozmo, getting up close and personal with a dragon from the Forbidden City! A German study found that students who studied abroad showed improvements in five core traits: openness, conscientiousness, extraversion, agreeableness, and emotional stability. Being abroad forces your child to adapt as they open themselves to new experiences and growth. 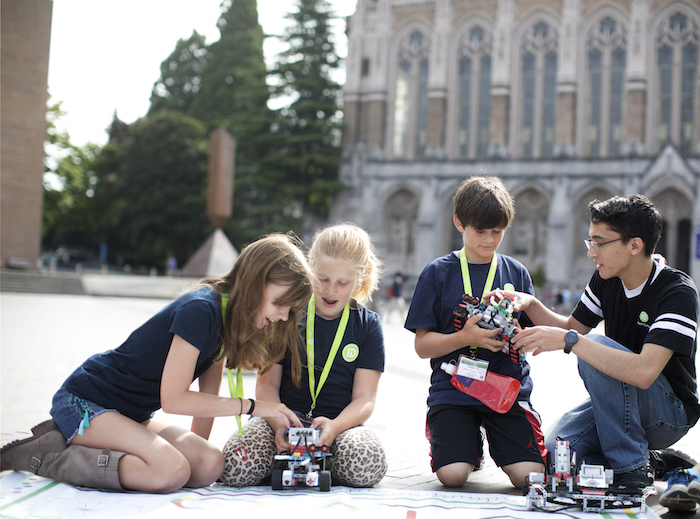 Summer camp offers a number of benefits, with students not only learning intellectually but also socially, as they stay in university dorms and learn how to live with others. Whether it’s leading their team, overcoming robotic challenges, publishing and selling their own mobile game, or raising awareness of animal shelters through a video documentary, it doesn’t take long for students to shake off their nerves and realize their potential as a leader, entrepreneur, and activist. As students gain more confidence in themselves, they learn to be independent and self-sufficient. From learning to ride the subway to effectively budgeting time and money, traveling abroad can provide valuable life skills that continue through life long after the travels are over. There are so many study abroad options that cater to different interests: language, art, sports, technology, and much more. Add to your child’s future résumé and help them learn a new skill! Encourage them to venture out of the conventional classroom and into the streets of Spain to get their Spanish immersion, or attend summer camp in Silicon Valley to get hands-on experience with the latest tech. Studying in different countries allows your student to explore different learning methodologies than they receive in school. Experiential learning has been proven to help students overcome their fear of failing, which in turn increases their interest and progression in complex ideas. Sitting with a circle of shoshos (“grandmothers” in Swahili) as they wove baskets and spoke of their lives as leaders in their community, I not only learned about the vibrant and diverse Kenyan culture, but was also inspired to pursue a career in international studies. There are so many benefits to studying abroad, but one of the greatest is sparking a passion your child never knew was there. On their next adventure, they might just find their aspirations to become an engineer, artist, or athlete—the opportunities are endless. Now that you’re ready to help your child pack their bags, stay tuned for our next post in our Study Abroad series! Grace is part of the International and Custom Sales team at iD Tech. She graduated from Wagner College in New York with a BA in government politics and English. Out of the office, Grace enjoys spending her time running, hiking, and yelling at her television while watching her teams play.